Open Letter to William Kipchirchir Samoei arap Ruto, E.G.H., M.P. William Kipchirchir Samoei Arap Ruto, E.G.H, M.P. I am fairly certain you do not recall this but at the tail end of the 2007 campaign period, a friend of mine and I were at the Fairview hotel having lunch when you and other Pentagon members minus Raila and Nyagah were also seated at the nearby gazebo having your own lunch meeting. My colleague and I walked over to your table as you had just been seated and engaged you all with some small talk generally about the state of the then election campaign and shortly thereafter excused ourselves to allow you to go on with your lunch as we proceeded to our own. More accurately, my colleague and I engaged the other members of the Pentagon except for you as you were mum and basically treated us as a nuisance—not sure exactly why I joked with my Kale friend it must have been you and he had had some run on before but he assured me that not to be the case. Be that as it may have been, as my friend and I returned to our seats, I told him looking at that table, and given your discomfort with our presence, it was my conclusion that you could not possibly be on that team for much long after the ensuing elections. My assessment was simply based on this: knowing you were the youngest of the four Pentagon members sitting there and the two absent but clearly in your mind, you must have surely been thinking if each ruled as president at a minimum one term, that would translate to more than 25 years before your turn arrived, going by the politics of the oldest first; if each ruled for a maximum two terms, you were then looking at more than 50 years before your turn. If you factor in the opposition taking one or two of those terms, add at least five more years, which led to my summation you couldn’t possibly want to wait that long and thus my prediction then to my friend you may not last long with the Pentagon. For this reason, I told my friend you would soon have to find a way to cut the line and this could not possibly happen in ODM. The only way you could not have been thinking about this, namely, seeking a short-cut to the presidency, I told my friend, was if you were given a pacifier in the form of a premiership which you have since claimed Raila promised but did not deliver—never mind Raila could not have offered you this as he himself became one. It was therefore no surprise to many of us when soon after the coalition government was formed, you started making noise and later bolted ODM becoming a thorn in the flesh of Raila. I don’t think there is any doubt in anyone’s mind that the sole objective in doing what you did was simply to try and dethrone Raila from the pinnacle of power he enjoys as the leader of ODM and therefore position yourself as the new kid on the block with sufficient coattails from such a dethroning to ride all the way to State House as President. Neither is there any doubt in anyone’s mind that was an overly ambitious objective albeit one no one can really blame or condemn you for pursuing as it is what any savvy politician would have done, if they had the chutzpah to do so. Looking back, however—and you would have to agree, falling the Mugumo tree turned out to be an insurmountable and daunting task for there is simply not enough muscle or tool to bring it down as others before you did ultimately equally find out as you did. Meanwhile, you had a visitor by the name of Luis Moreno Ocampo, who invited you to join him and his colleagues at the Hague in connection with PEV. That case remains pending but after conducting a thorough legal analysis of the case, I long ago concluded you cannot be convicted as charged. Which brings me to the purpose of this letter and that is, to ask you the question, what is that you want at this stage in your political career? This is a rhetorical question for I have my own thoughts as to what you would want which I now share and hope you’ll agree. First, as any politician, you’ll want to maximize and preserve power. There is no question you have amassed a considerable amount of political power since the Moi days when even you would admit until you plowed your way into the corridors of power as a Moi youth organizer, you couldn’t have imagined that you were yourself presidential material—at least not this early in your life-span. I can’t say that for sure but logic and common sense dictates that to have been the case and I am sure you’ll agree were you to be intellectually honest. However, be that as it may be, what power you have is strictly regional and more specifically, it’s power of influence over a portion of the Kalenjin community primarily in North RV. It is power nonetheless you can leverage to your political advantage albeit not enough to propel you to State House as president for reasons that are obvious and I need not get into. One obvious way you could leverage that power to your political advantage, and the second thing I would postulate as top of the list of things you’ll want at this stage in your political career, is to play king-maker. Soon after the Kibaki succession game (KSG) was whistled on, you and several other politicians formed the so-called G7 alliance which has either since fizzled to death or is comatose in some form. 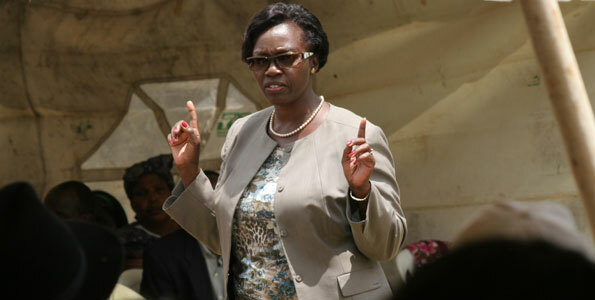 You have, however, for quite some time also made it known your co-accused ICC comrade Uhuru Kenyatta is the preferred man you want to work with in seeking the presidency but one need not be a political genius to tell you no combination of this partnership could possibly see either of you to State House in 2013. And that is assuming you both are allowed to vie, as you should. That being the case, you’ll have to be more pragmatic and smart in how you play the king-maker game such that whoever you pick, actually is elected and becomes our next president. There is nothing more humiliating and more a political death knell than picking someone to king make only to have them lose. Looking at the political landscape and to keep this simple than going into the weeds with it, there are only two candidates you can throw your weight behind and actually have a good chance at either winning and these are Raila and Uhuru. Your picking anyone else to back for 2013 will be as useful and successful as filling a gas tank of a car with water and attempting to drive somewhere, let alone to State House: You’ll be going nowhere in that car; not any time soon, anyway. While you’re stuck with an immobilized vehicle, the Jogindah Singhs would have been popping Champaign at the finish line, leaving you wondering what a foolish idea it was filling that gas tank with water. That’s the bad news but the good news is, you have actually not filled the gas tank with water yet; you have plenty of time to fill the car with the necessary or required amount of gas and, even more importantly, filling gas for the right car destined to cross the finish line, first. That car in most people’s minds is one that belongs to Raila and ODM. But why should you do so; why would you want to fill gas for a car belonging to Raila/ODM and nobody else? The answer is simple: This is the car you actually have an equity interest from the day it was custom ordered. When you saw the writing on the wall and reluctantly joined ODM in late 2007, you saw and bought into what Rail and ODM represented in terms of vision for our country, which you energetically campaigned and made the case as did everyone else in the team for RailA and ODM to be given the opportunity to prove what the party could deliver—and Kenyans responded positively only to be thwarted in the end as known to all. Nothing has changed in terms of that vision from 2007 and now. As noted above, you did leave ODM and attempted to do what you did but let’s call a spade a spade that effort failed and it now behooves you to do the right thing and return to the fold where your political career can continue with more certainty than any other option you may choose to pursue. Which brings me to the third thing I believe you would wish to do at this stage in your political career and that is, laying a more solid foundation and, more importantly, jumping on the shortest possible track to becoming our country’s future president. 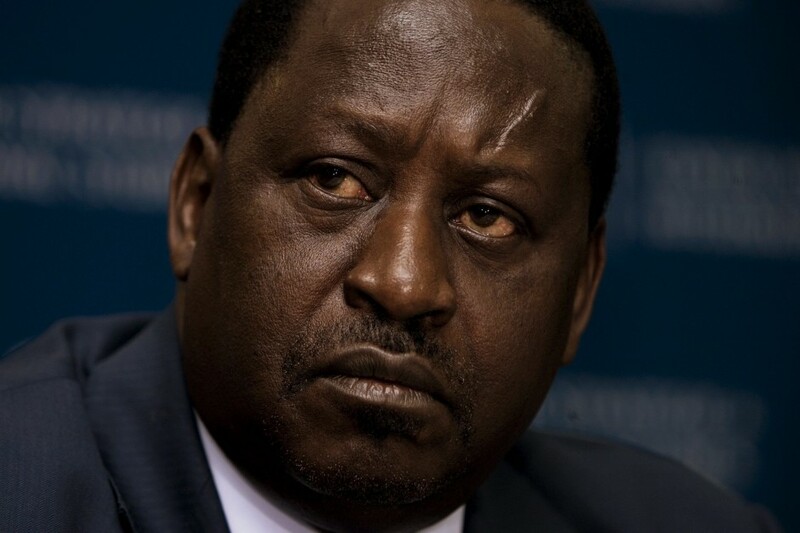 Raila has said he wants to serve one term as president. Were you to work with him, you can be assured of a good and likely successful run for the presidency in 2017—a mere five years away. No other candidate you can work with gives you that much fast track to the presidency. The least you can expect from any of the other serious contenders you could work with (read Uhuru) is at least 10 years and that’s if you are extremely lucky and are not elbowed out at the end of his two terms—were he to be elected in the first place which is highly unlikely—in favor of someone he (Uhuru) and those pulling strings for him would prefer to you. Given your aforementioned ambition to cut through the line and get to State House in a hurry, and given you can’t get there on your own in 2013—even working with someone like Uhuru—your best bet would therefore seem to be working with Raila this time around and set yourself to succeed him, if Kenyans once again give him the nod as they are likely to but this time have him sworn as our fourth president. Finally, but not least, I would have to think one thing you would want to do or more precisely you would not want to do, is not to let down your community and, indeed, the country at large. As noted above, you have done good in amassing power within your region and there are many across the country who view you favorably as potential future presidential material. You have obviously made mistakes in the past as all of us have that may cast some doubt in others minds but many of us do believe you will be exonerated at the Hague, which looms large in that consideration. That notwithstanding, your community expects you to rise to the occasion at the moment and provide leadership that is not merely self-centered for your own personal aggrandizement and gain but for their collective benefit, especially in addressing many of the same issues they voted almost to the man for Raila and ODM in 2007. That journey which started in late November 2007 in Kaleland with Raila and ODM resumes this time the destination being State House so that finally those dreams and hopes of the people of RV and across the country can be realized as Raila and ODM finally get the opportunity to prove what they can do. No amount of differences you may have had with Raila and ODM cannot be reconciled to make it possible for you to rejoin the Rala team or at least work with him and ODM as this journey resumes. Doing so certainly will not let your community down as would likely be the case were you to pursue other options. On the other hand, working with Raila and ODM would certainly make them proud of you as it would affirm your taking as whole the interests of all of the community and not just a part of it and set the stage for you to have a more direct and faster route to the presidency in your own right after Awambo as compared to any other route you may wish to take. I hope you agree and wish you the best regardless. Unless one has been there and done it, one can never truly understand or appreciate what it is to be whatever that is; they may have an idea, but that’s about it. Thus, if one has never been a parent, they are unlikely to fully understand or appreciate both the joys and challenges of being one other than perhaps at best their observation of how friends or relatives enjoy the pleasures of parenting or grapple with the challenges. If one has never been a victim of a crime, one cannot truly understand and appreciate the impact of that crime both physically and mentally to the victim no matter how small or big. If one has never flown in space, one cannot truly understand or appreciate the effects of weightlessness. While there is a good chance anyone can have a good sense of what it is to be in any of these circumstances one has not experienced in person, there is a tendency to also not give enough credit or complete appreciation and empathy for those who are or have been there. Take the example of Raila Amolo Odinga, Prime Minister of the Republic of Kenya. Raila has been a staple in Kenyan politics for well over three decades, having become a household name in 1982 when he was initially put under house arrest and later detained for more than six years without trial in connection with the failed coup attempt against then President Daniel Arap Moi. Few have actually been detained for political reasons and even fewer for as long as Raila was. However, the stories told by Raila and other detainees about the torture chambers in which they endured great suffering depict a picture of where no one in their right mind would want to do anything to earn a trip there, yet the likes of Raila have done just that for the sake of our country. But what was that experience like? Can those of us who have never been there ever truly understand and appreciate the trauma, the psychological and physical pain of enduring such an experience? The best we can do is to simply relate by imagination and that will never give anyone the full flavor of the pain and anguish. In the absence of such complete understanding and appreciation, the next best thing is to simply accord those who have had such experiences the highest degree of honor and deference and herein is a problem because much as someone like Raila has personally sacrificed for the sake of our country, there are many who would treat that as basically a meaningless and valueless exercise. Instead of according someone like Raila the highest degree of honor and deference for his sacrifice for the country, an uncouth class of politicians and Kenyans actually find it befitting to insult and belittle Raila instead—again treating his sacrifice and suffering as a meaningless and valueless exercise. That’s got be extremely annoying and any ordinary person can be forgiven for yelling and screaming at those who would be so obtuse as to deny or to want to deny them a right they have earned with immense pain and suffering. But Raila is not of that type to scream and name call people for not according him the right amount of credit for his suffering endured primarily because of his love for our country. Rather, he soldiers on doing what he does best and that is fighting for the ordinary folk, even as one of his hands is tied in the back by forces he still must fight with equal if not greater fervor to free himself fully from in order to deliver his true vision for the country. That’s got to be not easy. First, many a man—or woman for that matter, would open their eyes from whatever amount of sleep they have had and want to pull bed covers over their heads and fall right back to sleep than get up to face yet another day of news stories about the latest plots by those ganging against him or her. Try to imagine this: how would you feel if for months upon months you are inundated with a barrage of hate and vitriol from people who know nothing about you while those who know you have nothing but salivating to stop you from achieving your dream and vision for the country to the point they are ready to gang up against you for no reason other than they simply don’t want you to ascend to the highest of the land? Yet, this is precisely what Raila endures every day and still manages to have a smile at the end of it. Second, if facing daily a pack of wolves prepared to extinguish him politically on the campaign trail, Raila has to contend with the fact he has a coalition partner not intent on making things any easier for him both in terms of power sharing or in any manner that would benefit him politically. Indeed, but for Raila’s cleverness and survival mentality, his coalition partner would have but rendered him irrelevant from the get go but thanks to his political astuteness and ability to see far, Raila used those skills to slowly elbow himself back into the very position he was installed co-partner in the coalition albeit still not as equal as the Coalition Agreement mandates but close enough to have ensured his political survival thus far. That has certainly not been easy even in these waning hours of the coalition. Third, and then there is the unenviable position he finds himself now to pick who his running mate should be. To say this is an easy task would be to say one doesn’t understand politics. No one faces a more daunting decision in running mate pick than Raila. Everyone else can chose a mannequin as running mate and have virtually have no impact on their prospects but Raila cannot do so. Raila must pick a running mate who must not only solidify the support he already has but the pick must also be one who brings more to the table than their pretty self and by that I don’t mean merely more votes. It must be someone who is ready and capable of leading the country in his or her own right were the need to arise and certainly one with impeccable credentials on reforms. If the person falls short on reform credentials or is otherwise questionably on that account, then what he or she brings to the table must clearly outweigh the risk of having him or her on-board. An astute observer can only see one person across the land fitting that bill. Be that as it may be, picking the right running mate for Raila is not going to be easy but do he must. It’s what separates a sophisticated and astute leader from amateurs. If the past is any indication that Raila is this and more, how he maneuvers around the various landmines ahead to ascend to the presidency shall seal his fabled title as the enigma he has thus far proven to be. We are praying for him and cheering him on. 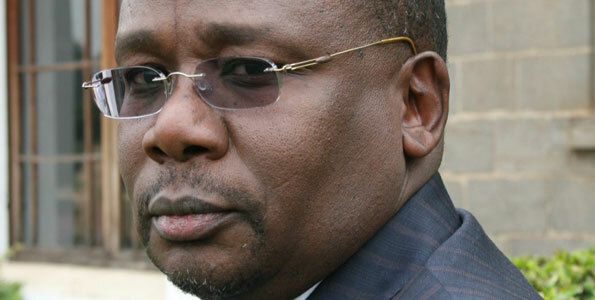 In AG Githu Muigai Has Earned Worst Attorney General Title In Record Time posted back in January this year and only a few months after he was appointed, I made the case why the AG had earned this dubious distinction. 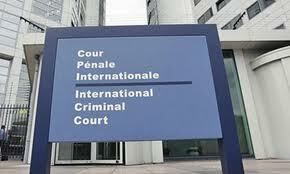 A lot has happened since that if anything made that case even stronger and, as if not to disappoint in that assessment, it is now being reported by the Standard Online that the Muigai now wants the ICC cases to be postponed because going forward with the cases is going to be an inconvenience for Uhuru and Ruto in case we have a run-off. That reason is not only the lamest and laughable excuse one can give to defer any criminal case, let alone an ICC case it goes to show Muigai and those whose interests he is serving in raising this lame argument either don’t respect the law or they don’t have any respect for the victims of PEV either. It’s perfectly okay for the AG to say things that are embarrassing to himself and those he represents locally but it’s quite another thing when he embarrasses us all on an international level such as what he has done here–yet again. I am without words and so should everyone except to tell the AG to simply start wearing a bag over his head for I don’t know how he faces the public upon saying things like this. But he again may not be fazed by what he has said and more so the reason he earns the title he has bestowed upon himself. Here is an excerpt from the story. Even our brothers and sisters who worship these men must surely agree this is got to be a joke. Please don’t get me wrong; I am all for these two not to be prevented from vying for whatever office they fancy, including the presidency but this is way too embarrassing for the AG to make and one which is also clearly without any legal of factual basis. 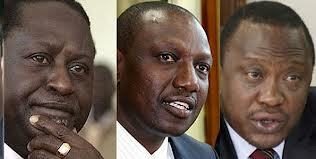 Is A Raila/Uhuru/Ruto Deal To Work Together In The Offing Hard To Believe As That May Be? There have been rumors lately that Raila through emissaries is talking to his rivals, including his sworn enemies Uhuru and Ruto. Neither Uhuru nor Ruto is confirming this but Raila’s people are all but confirming these talks are, indeed, going on. In a story reported today in the Daily Nation, the two sides simultaneously continue to deny talks are taking place, on the part of UK and Ruto, while basically confirming they are on the part of ODM. How is it possible that these two sides are saying what appears to be on its face two contradictory things? Is either or both telling the truth? A good assumption would be both are telling the truth; you would have to carefully parse the words and language they are using to figure why. Basically, this is politics 101. It is not in neither Uhuru nor Ruto’s interest to admit at this time of any talks, if any, for doing so would be as good as saying the deal is done politically speaking because those are words they cannot take back in case the deal doesn’t go through. In other words, the two must remain steady with their message Raila is a bad man who they want to block from becoming president while quietly and behind the scenes anxiously and eagerly discussing with him the various scenarios they can all three make sure their individual interests are take care of post-election. On the other hand, it’s in Raila or ODM’s interest to broadcast widely and vigorously any talks or even plans of talks going on. One would have to assume the modalities and mechanics of having that done may just be what’s on the table and that could mean a lot of things. A lot but not too many not to find a common ground to make it happen. This unyielding, emphatic denial can only mean one thing; if talks are going on, they are likely more serious and even more so likely to yield results in the case between Raila and Ruto but less so with Uhuru who nonetheless must have his nose stuck in there between the two because any deal they make he must somehow be a part of it, given his twin interest with Ruto courtesy of ICC. Which leads one to conclude a deal could be in the offing among these three that is unprecedented and too complex to even try and throw out there as a trial balloon. I have an hunch I know what it could be strictly from putting two and two together but let me not put it out there for the same reasons other than to say if it is what I think it could be, it would not make sense to a lot of people until it is actually done and successfully implemented (read after the elections). That being said, notwithstanding the denials, all one has to observe to know there is something interesting going even without knowing the behind the scenes goings on is to observe what these two, namely, UK and Ruto have or have not been saying about Raila lately. Compare that to the dangerous rhetoric of earlier this year. Something gave at some point and that is the high-handedness and a false sense of invincibility on both UK and Ruto ostensibly because (1) reality sank in as to the ICC, especially dire warnings of not just the two from the ICC but the government itself likely heard an earful from the US, UK and Denmark to the effect the countries will rally the UN to isolate Kenya were it to try and defy the ICC and (2) a realization Raila is, indeed, a mugumo tree nobody is going to bring down no matter how hard they try. Uhuru and Ruto realize confident as they may publicly project toughness and ability to beat Raila, they privately know and would admit Raila has a better chance of beating either or both of them and no matter how small that chance is, only but a fool would not want to make sure were that to happen as its likely to, namely, Raila being reelected as president, at least they ought to be in a position not to be told the PM’s calendar is full through 4 years down the road when trying to secure an appointment to see him. Neither is a fool so you might as well believe they are talking–just in case. As note above, my hunch is if there are such a talks that result in a deal, it will not be something readily understandable or even readily observable but the net effect will be the same, namely, making sure all three men have their individual political and personal objectives met. It’s worth noting Mudavadi does not feature in any of this analysis because it’s true he is politically finished. Our next president is going to be either Raila or Uhuru or whoever Uhuru backs. Ruto is very much relevant in influencing who that could be albeit not to the exclusion of others who may negate such influence. My money is on Raila, even though I am not a betting man. Kenyans will vindicate that belief and hope. It is a well-known phenomenon, especially in Kenya that come election time, one is likely to see a flurry of defections from one party to another and even back to those people are defecting from. This is because in other than very few cases, most politicians owe no permanent allegiance to their parties and certainly an alarming number have no loyalty at all or of the kind that can withstand money temptation to flee even their own families for some. It is with this in mind that Uhuru and Ruto and more so Uhuru than Ruto are on overdrive to dish out as much cash as possible to snag as many ODM members as they can and aided by a willing media, try to project such buyouts as somehow something bad for ODM. Pouring money which many argue and rightly so is ill-gotten to begin with to have members of one party defect to your party is nothing to brag about. Granted, such gimmicks are bound to work as against the unwary and easily gullible, which is most of the public that does not look behind the curtain to see the real naked truth and that is, virtually all these defections have everything to do with money than principle, ideology or anything one can even remotely say is a virtue. These are the defections from other parties to ODM. This is because no one can argue that relatively broke Raila and ODM as compared to their well-oiled financially speaking opponents, those defecting to ODM are not doing so on account of being bought but do so because they simply recognize that ODM is the party that has any ideals worth joining efforts to champion and certainly its leader, Raila Amolo Odinga has been and continues to be at the forefront fighting for the common mwananchi by making sure impunity and corruption is brought under control, if not altogether eliminated. Interestingly and this is really worth noting and goes to speak volumes as to this phenomena of party hopping as being a cash cow for most of these politicians, the MPs just passed, by unanimous consent! a law extending their party hopping potential through January 4, 2013 instead of a couple of days ago. Do you hear the sound of cash flowing to the pockets of many of these MPs who are busy bargaining their souls away? To be fair, there are a good number of MPs who may wish to have more time to put the figure in the air to see which direction the winds are blowing before they decide whether to remain in the parties that last sponsored them to Parliament or to bolt. But there is no question a majority are largely looking at this strictly from a monetary point of view and which direction the wind is blowing is merely a guide as to which party to milk. That being said, one can easily see what is emerging in 2012 through January 4, the new deadline these MPs have set for suitors to come and offer their best lines and that is, defections in 2013 is going to be a contest between those with a conscious and those without; a contest between those who would put their individual selves first or country and their constituents first; those intent on taking the country to a higher level above the usual siasa ya tumbo and those who would rather engage in just that, namely, siasa ya tumbo while the 2013 elections shall in turn be a choice between chatting a new path for our country more free from cheap politics, corruption and impunity and one where any or all of the three remain to reign supreme. The choice is obvious as to which of these choices must prevail and I have faith in our people and more so in a good number of the politicians in key constituencies to resist the temptation of being wooed with this kind of unprincipled party hopping driven only by either greed or money. So, to our esteemed ODM members of Parliament and those aspiring to be, stand firm and let not your hearts be troubled if you refuse the onslaught currently underway to buy your defection from ODM for all shall be okay in the end if you stand on the right side of what’s right under these circumstances and that is, simply not jump ship for the sake of money. The country needs the party. Raila needs both you and the country and not that the other side doesn’t need you; they do but all for the wrong reasons and that’s simply to use you as a means of stopping or thwarting Raila’s efforts to ascend to the presidency for no reason other than the fact they just don’t want him to. That’s not and never will it be a good reason to ever sell your soul.